Water purifiers have become an absolute necessity these days. People invest in the best water purifier with double purification technology irrespective of the UV, UF or RO water purifier price. That is because the conventional water purifiers remove the natural ingredients and nutrients of the water in addition to removing the impurities. For this reason, the water from conventional water purifier tastes stale and is also not good for your health. Cheap water purifiers are efficient at removing the impuritieslike pesticides and chemicals that are dissolved in water. This is why the need for double purification technology has become crucial. Double purification technology uses both RO and UV technology to clean water in a single purifier. This kind of water purifiers dispenses the purest form of water that is far better in quality than the ones that use single technology to purify water. One of the most popular brands that use the double purification technology is Kent. Kent purifiers not only use double purification technology to eliminate every kind of harmful substance in water, but they also retain the natural minerals and nutrients in water by using a TDS controller. So,water from such purifiers tastes better than other purifiers. 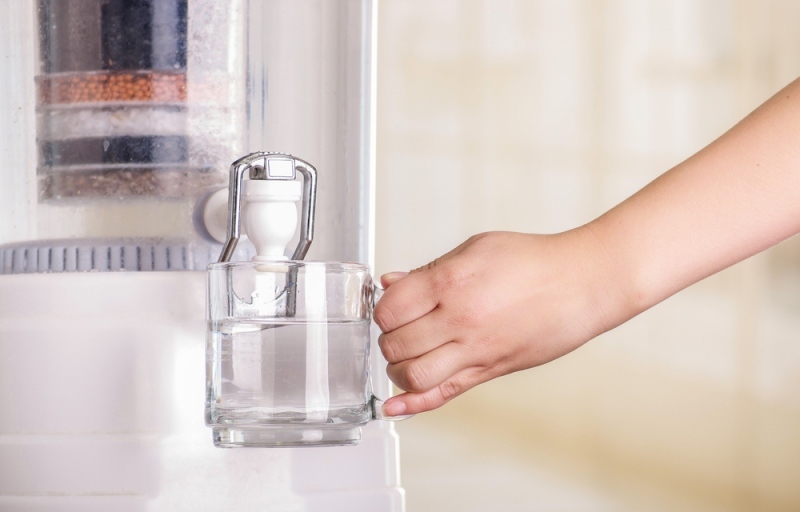 Clean Water-The most obvious benefit of using a water purifier with double purification technology is that you get access to clean drinking water. Such purifiersclean the water in two levels using two of the most trusted technologies –Reverse Osmosis technology (RO technology) and UV technology. The result that we get is water in it cleanest and purest form. High Water Storage Capacity- For big families or houses in areas where power cuts are frequent, these water purifiers can be of great use. The large storage tank generally means lesser consumption of electricity. That is because you do not have to switch it on every time you need water because a lot of water is already stored. Such double purification UV- RO water purifier price is quite reasonable to invest in. Sleek and Stylish in Design- Most advanced water purifiers that use double purification technology like the ones from Kent are very stylish in terms of design. These purifiers are available in both table-top and wall mounting models so that you can opt for anything as per your convenience. They also have detachable water tanks that make it easier for you to clean and maintain the water purifier. Save a Lot of Water– These water purifiers waste less water when compared to the conventional RO purifiers. They help to save up to 50% of water that is purified. The water purifier also has a separate tank where the discarded water is stored. You can use this water for other domestic cleaning purposes. Check the latest double purification UV-RO water purifier price today and buy the best model that suits your needs.